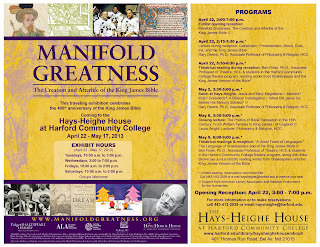 Exciting things are happening at the Hays-Heighe House Museum in Bel Air, Maryland! 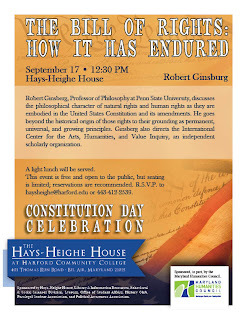 Robert Ginsberg, Professor of Philosophy at Penn State University, discusses the philosophical character of natural rights and human rights as they are embodied in the United States Constitution and its amendments. He goes beyond the historical origin of those rights to their grounding as permanent, universal, and growing principles. Ginsberg also directs the International Center for the Arts, Humanities, and Value Inquiry, an independent scholarly organization. This event is free and open to the public, but seating is limited; reservations are recommended. R.S.V.P. 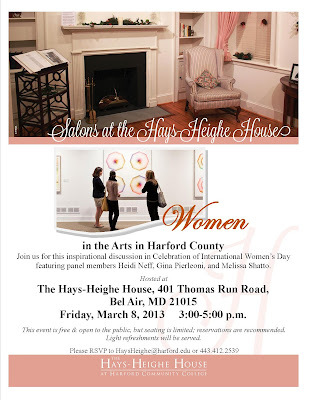 to haysheighe@harford.edu or 443-412-2539. 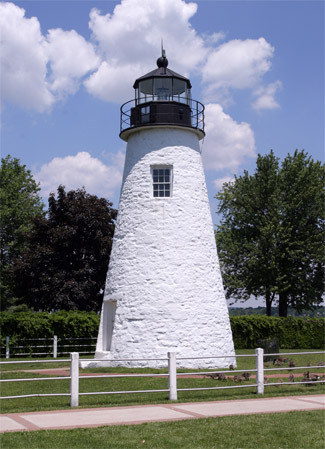 Happy National Lighthouse & Lighthouse Preservation Day! 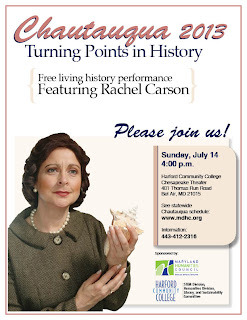 Join us at HCC for Chautauqua 2013 featuring Rachel Carson on July 14th! 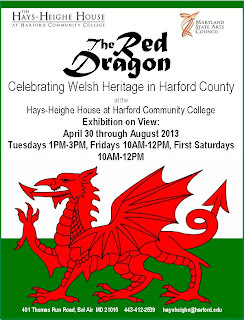 Even though school is out, our exhibit on Welsh Heritage, The Red Dragon, is up through the summer! Bring your family and friends to see Medieval-style weapons, 19th century Welsh Bibles, and learn about how to research your own ethnic heritage. Click the link for the official Welsh Heritage Day flyer. 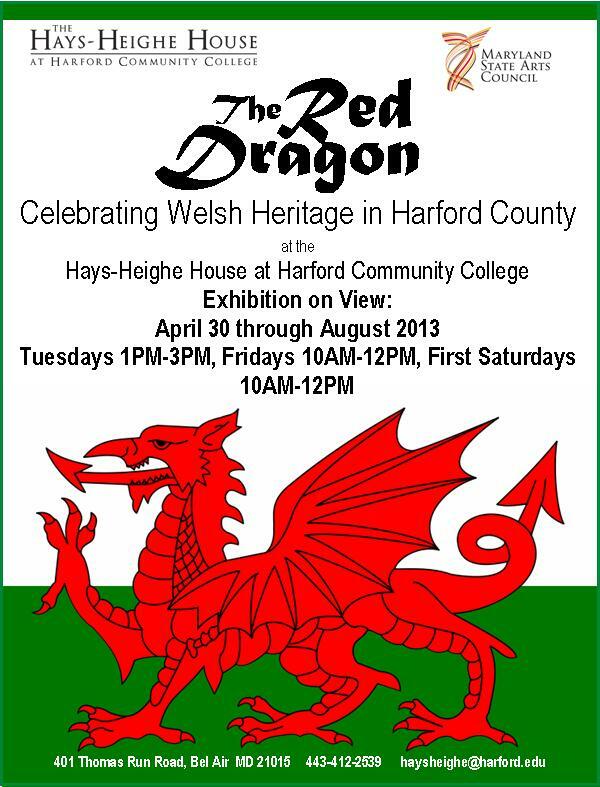 Welsh Heritage Day at the Hays-Heighe House is Tuesday, April 30, 2013. Join us for lots of great activities, including a performance by the internationally-acclaimed Rehoboth Welsh Choir! Tell your friends!